Performers always appear to have an air of confidence about them. They know how to turn on the charm, how to dress and how to behave and are always surrounded by people who adore them. In a new musical theatre piece directed by Michael Ralph, SELF looks to explore what happens when the man who seemingly has everything together on the outside is falling apart on the inside. The show begins before the audience is even aware it has started, with a whispering voice relaying a continuous stream of self-doubting and critical thoughts around success and the types of questions artists constantly ask themselves and get asked. Questions such as 'how long have you been creating for?’ and 'how do I express myself?’ keep repeating as the voice gets louder and louder. The silent and motionless band sit along the back of the stage, shrouded in darkness and add to the tension of the internal nightmare being constructed. When Rohan Browne appears, he walks towards a large spotlight in the centre of stage. He appears diminutive as he steps into it, a foreshadowing of what a career in the limelight can do to a person. Ralph's choreography perfectly captures Browne’s sensitivity and naivety as well as his charisma and arrogance. Supported by the ensemble performers (Loren Hunter, Sheridan Anderson, Romina Vilafranca, Alex Given, Max Patterson, Jordan Turner and Jackson Rudge), Browne touchingly portrays the turmoil, confusion, recklessness and loneliness that can envelop a person. Browne delivers a highly expressive performance and seeing how his body and demeanour transform as he falls deeper and deeper into this dark hole is engrossing. While this momentum slows down a little with the final moments of SELF there is a poignancy and hopefulness that through the darkness there will be light. The original musical arrangement by Jack Earle is an aural delight with drums, bass, trombone, reeds, trumpets and keys all being utilised to build the environment and set the mood and tone for what is transpiring on stage. 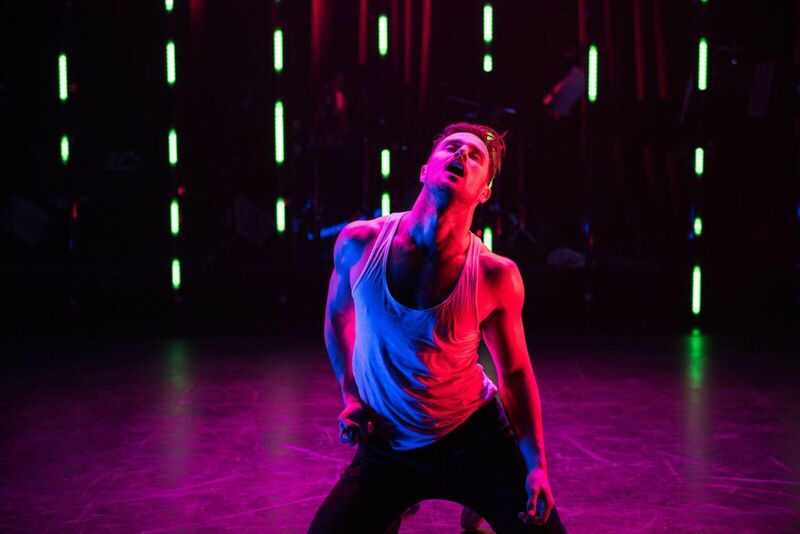 Tom Willis’ lighting design works well in casting shadows and amplifying the tension being performed through the choreography. SELF is a highly entertaining new dance theatre piece that has you thinking about the choices we make in life and how emotions, conflict, aspiration and mortality play a role in these choices. With a stunning performance by Rohan Browne, you can’t help but feel as if you have experienced this gamut of emotions yourself.